Machine learning technologies are quickly transforming almost every sphere of our lives—from how we communicate to the means we use for transportation, we seem to be getting increasingly addicted to them. Because of these rapid advancements, massive amounts of talent and resources are being dedicated to accelerating the growth of the technologies. For example, several engineers such as AndreyBu from Germany, who has over 5 years of machine learning experience, is currently taking part in exciting projects that enable learners to make the most of AI technologies. Here is a list of 8 best open source AI technologies you can use to take your machine learning projects to the next level. Initially released in 2015, TensorFlow is an open source machine learning framework that is easy to use and deploy across a variety of platforms. It is one of the most well-maintained and extensively used frameworks for machine learning. Created by Google for supporting its research and production objectives, TensorFlow is now widely used by several companies, including Dropbox, eBay, Intel, Twitter, and Uber. The framework allows you to develop neural networks (and even other computational models) using flowgraphs. Initially released in 2015, Keras is an open source software library designed to simplify the creation of deep learning models. It is written in Python and can be deployed on top of other AI technologies such as TensorFlow, Microsoft Cognitive Toolkit (CNTK), and Theano. Keras is known for its user-friendliness, modularity, and ease of extensibility. It is suitable if you need a machine learning library that allows for easy and fast prototyping, supports both convolutional and recurrent networks, and runs optimally on both CPU (central processing units) and GPU (graphics processing units). Initially released in 2007, scikit-learn is an open source library developed for machine learning. This traditional framework is written in Python and features several machine learning models including classification, regression, clustering, and dimensionality reduction. Scikit-learn is designed on three other open source projects— matplotlib, NumPy, and SciPy—and it focuses on data mining and data analysis. Initially released in 2016, the Microsoft Cognitive Toolkit (previously referred to as CNTK), is an AI solution that can empower you to take your machine learning projects to the next level. Initially released in 2007, Theano is an open source Python library that allows you to easily fashion various machine learning models. Since it’s one of the oldest libraries, it is regarded as an industry standard that has inspired developments in deep learning. At its core, it enables you to simplify the process of defining, optimizing, and assessing mathematical expressions. Theano is capable of taking your structures and transforming them into very efficient code that integrates with NumPy, efficient native libraries such as BLAS, and native code (C++). Furthermore, it is optimized for GPU, provides efficient symbolic differentiation, and comes with extensive code-testing capabilities. Initially released in 2017, caffe (Convolutional Architecture for Fast Feature Embedding) is a machine learning framework that focuses on expressiveness, speed, and modularity. The open source framework is written in C++ and comes with a Python interface. Caffe’s main features include an expressive architecture that inspires innovation, extensive code that facilitates active development, a fast performance that accelerates industry deployment, and a vibrant community that stimulates growth. Initially released in 2002, torch is a machine learning library that offers a wide array of algorithms for deep learning. The open source framework provides you with optimized flexibility and speed when handling machine learning projects—without causing unnecessary complexities in the process. It is written using the scripting language called Lua and comes with an underlying C implementation. Some of torch’s key features include N-dimensional arrays, linear algebra routines, numeric optimization routines, efficient GPU support, and support for iOS and Android platforms. Initially released in 2010, Accord.NET is a machine learning framework that is entirely written in C#. The open source framework is suitable for production-grade scientific computing. With its extensive range of libraries, you can build various applications in artificial neural networks, statistical data processing, image processing, and many others. Before starting to build a machine learning application, selecting one technology from the many options available out there can be a difficult task. Therefore, it’s important to evaluate several options before making a final decision. 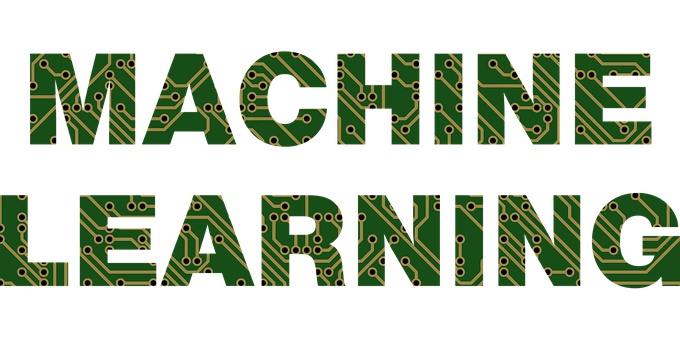 Furthermore, learning how the various machine learning technologies work can assist you to make a good decision. Apart from the above-listed AI technologies in machine learning, which one(s) are you using in your projects? Is there any other framework, library, or toolkit not discussed?